Set along the beautiful and calm waters of Mission Bay, the San Diego Crew Classic brings together thousands of athletes from more than 100 universities, clubs and high school programs from across the U.S. to participate in this premier rowing event in San Diego. Over the course of two days, rowers ranging in age from 14 to 84 will compete in over 100 exciting races in various divisions. In addition to the racing, the San Diego Crew Classic will also have a craft beer tasting event, a family festival, music, a jumbo tron for the best views of the races and more. Times: Gates open at 6:00 AM. Races start at 7:30 AM. Right in front of the amazing view of La Jolla Cove will be over 150 beautifully restored classics from Italian marques to woodies to American sports cars. There will also be a book signing, a motor tour, concourse and motor car classic, and for VIP ticket holders, an evening reception with food and beverages. Can you tell a tale as tall as Peg Leg Smith? 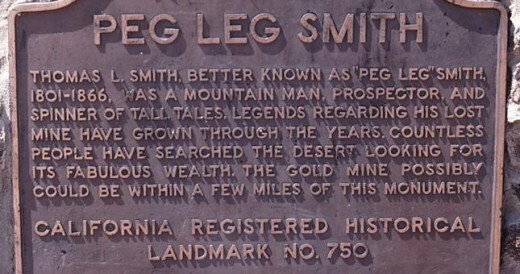 Think you have the best tall tale about gold or the legendary Peg Leg Smith? Well then tell it at the annual Peg Leg Smith Liar’s Contest at the Anza-Borrego Desert State Park! Just bring the family, sign up at the Peg Leg Smith Memorial and enjoy an evening around the fire and under the stars with plenty of interesting and hilarious stories. Who knows, you might actually find out where Peg Leg’s gold is actually buried. 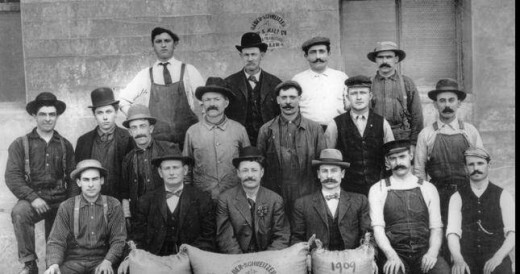 Discover San Diego’s brewing history at the San Diego History Center. San Diego History Center’s Bottled & Kegged: San Diego’s Craft Brew Culture exhibition will showcase the local craft brew industry demonstrating how and why San Diego County has become a national leader in craft brewing. The exhibition will feature many hands-on and interactive elements, as well as displays, demonstrations, replicas of iconic locales, and interpretive stations ranging from brewing science and process, food pairings, and historic imagery. Spend the last few days of December and 2012 enjoying these great things to do in San Diego! In the first appearance for both teams, The UCLA Bruins from the Pac-12 conference and the Baylor Bears from Big 12 conference will square off in the 35th annual Bridgepoint Education Holiday Bowl. 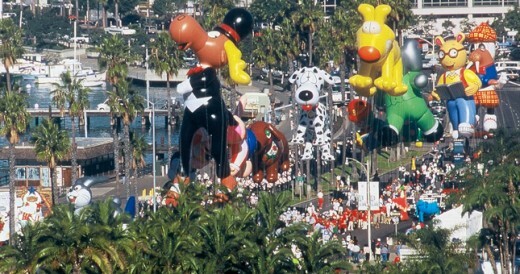 Enormous and colorful balloons will fill the waterfront during the Port of San Diego Big Bay Balloon Parade. Stop by before the parade for the 16th Annual Wienerschnitzel Wiener Nationals and stay afterward for the Family Festival at the Broadway Pier Pavilion. See Shen Yun at the San Diego Civis Theatre. 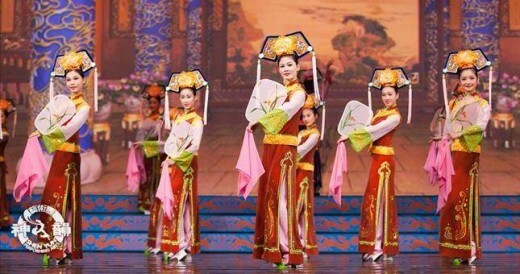 Shen Yun takes the audience on a magical journey through ancient dynasties and diversified ethnic religions immersing them in sublime beauty and grace, and experience the glory of an ancient civilization with music provided by a live orchestra. 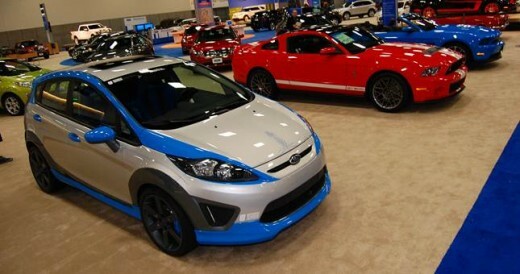 The 2012 San Diego International Auto Show features the widest variety of new vehicles under one roof with new car and truck models from over 30 manufacturers are featured, as well as the cars and trucks of tomorrow with concept vehicles from a number of manufacturers. Cavalia is exciting, breathtaking and funny. 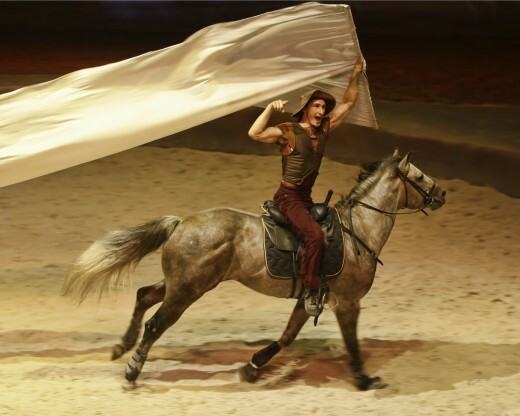 Don’t miss out on the wonderful story of humans and horses told through the acrobatics and music of Cavalia. Due to popular demand, the producers have extended the run to now go through January! Know of any other great events going on in San Diego this weekend? Let us and others know in the comments below. Finally, a little fall weather…San Diego style! We get to pull out our light jackets and maybe put on a pair of jeans instead of shorts. 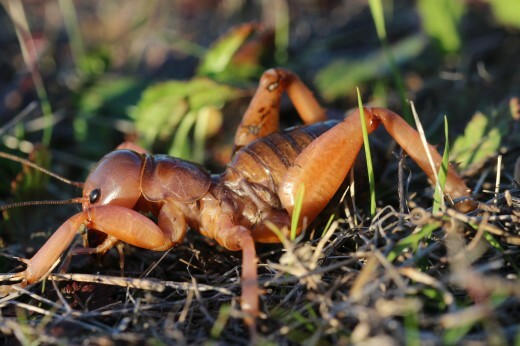 Why not get outside and enjoy these events this weekend. I’ll be at the Taste of Gaslamp. What will you be doing this weekend? 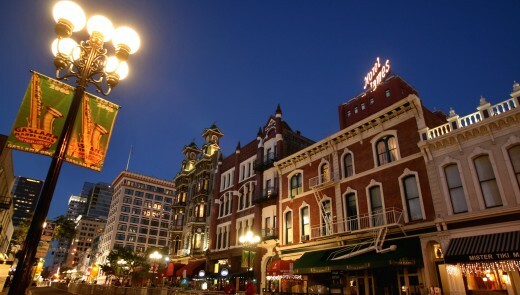 On Thursday, October 11, head downtown to celebrate the 13th Annual Taste of Downtown from 5:00 to 9:00 PM It is the biggest neighborhood tasting event in San Diego and encompasses the neighborhoods of East Village, Gaslamp, the Financial District and Horton Plaza. Tickets are $30 in advance and $35 the day of the event. 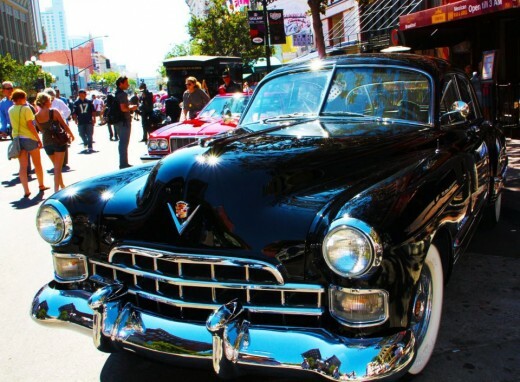 Car enthusiasts will be flocking to the Gaslamp Quarter on 5th Avenue from E Street to L Street on Sunday, October 14th from 11:00 AM to 4:00 PM for the 4th Annual Fifth Avenue Auto Showcase. This timeless event is free and open to the public and will showcase high-performance automobiles and motorcycles ranging from the traditional classics to lavish luxury modern vehicles. 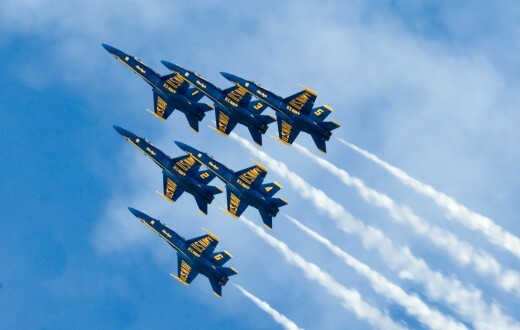 The Blue Angels to soar over San Diego! Nearly 500,000 people are expected to witness the MCAS Miramar Air Show this weekend, October 12-14. Visitors will be treated to a full day of flying and entertainment as well as novelty booths, a children’s activity area, military displays, a trade show and more! 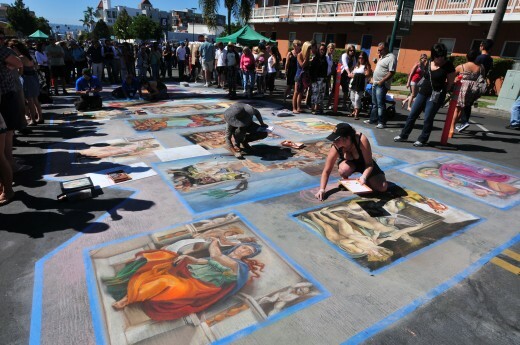 Chalk art, Music and More at Little Italy Festa! 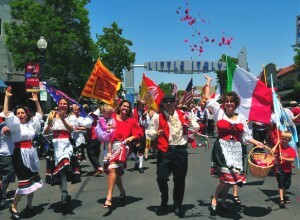 In its 18th year, the Little Italy neighborhood continues to celebrate its heritage by bringing the passion, vibrancy and flavors of Italy to southern California with its yearly treasured event, the Little Italy FESTA! More than 150 vendors, three stages of entertainment, Gesso Italiano (Italian Chalk), an Italian motorsport show, a Stickball exhibition game, and a children’s area will encompass more than 16 blocks of event activities at this family friendly event. 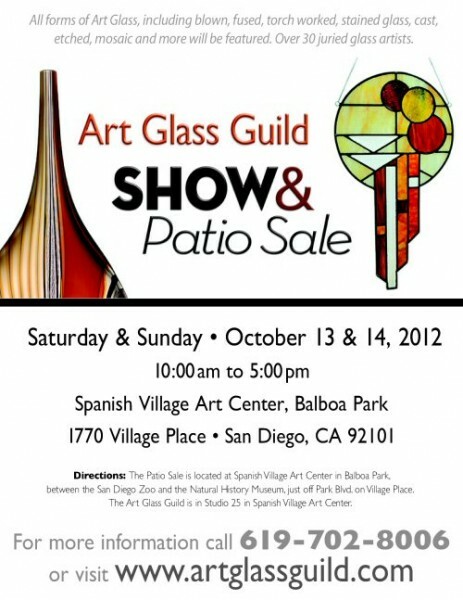 The largest art glass show in Southern California will be held in the historic courtyard of the Spanish Village Art Center in Balboa Park. Visitors can stroll through the free exhibit and see over 30 juried glass artists display their work Saturday and Sunday, October 13-14 from 10:00 AM to 5:00 PM. Be sure to also visit the demonstration booth where children and adults can participate in hands on mosaic projects. 1. Little Italy FESTA: Head down to Little Italy on Sunday, October 9 for the 17th Annual Little Italy FESTA. This colorful Italian celebration features music, fine food and “Gesso Italiano,” a traditional Italian street-painting festival. 2. 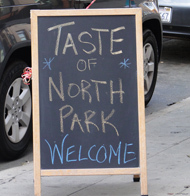 Taste of North Park: On Saturday, October 8 from 11:00 am to 4:00 pm. North Park will be the place to be as it welcomes local dining enthusiasts to partake in one of the best assortments of cuisine experiences in the city. This is a wonderful opportunity to taste original culinary specialties along North Park’s aptly named “Restaurant Row.” Tickets to this event are $30 in advance and $35 at the door. 3. Ocean Beach Oktoberfest: OB will be rockin’ October 7th and 8th to the sounds of OB Oktoberfest. The Ocean Beach Oktoberfest – the uniquely Southern California salute to the celebration of German culture and fun – is back this year, with a second day added. In addition to the food and craft vendors and an all-ages stage on the grassy area at the foot of Newport Avenue, Saturday’s Oktoberfest will include performances by the Electric Waste Band, Tommy Cubs, The Heavy Guilt, the Naked Funk, Bateke Beat, Tribal Theory and the Bavarian Beer Garden Band. 4. 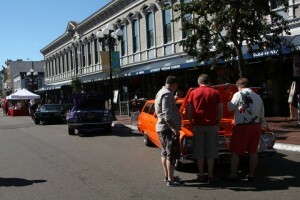 5th Avenue Auto Showcase: The historic Gaslamp Quarter invites car enthusiasts to stroll Fifth Avenue from K Street to E Street on Sunday, October 9 from 11:00 a.m. to 4:00 p.m. This free to view event will be open to the public and showcase high-performance automobiles ranging from the traditional classics to the lavish luxury modern vehicles of today. 5. LEGOLAND Brick or Treat Celebration: LEGOLAND California joins in the Halloween fun every Saturday in October with its annual Brick-or-Treat celebration, featuring a one-of-a-kind, 4-ft. tall LEGO jack-o-lantern. 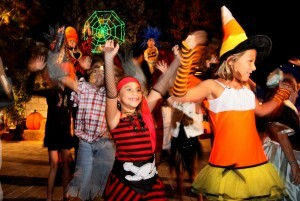 Children ages 12 and under can participate in fun-filled costume contests and trick-or-treat with a souvenir goodie bag along the park’s Brick-or-Treat Trail, a kid-sized cul-de-sac of spooky LEGO homes featuring fun and creepy creatures. 1. Over 90 races in two days will be held in Mission Bay at the 38th Annual San Diego Crew Classic. Spectators can watch as collegiate, junior and masters athletes compete for early season honors and coveted trophies. Be sure to check out the shore-side tent row for alumni and clubs, the jumbotron displaying races start to finish, a beer garden on the sand, and much more! 2. Did you know there are over fifteen designated gardens in Balboa Park? Spring is a great time to see what is blossoming at the nation’s largest urban cultural park. One of my favorites is the Rose Garden. The Inez Grant Parker Memorial Rose Garden displays over 2,500 roses of nearly 200 varieties on three acres and in April and May, the roses are at their peak. 3. Opening March 30th at the Valley View Casino Center for eight performances is Cirque du Soleil Quidam. Cirque du Soleil’s latest installment is full of creativity, acrobatics, athleticism and illusion. Quidam tells the story of Zoe, a young girl who is very bored with her life. To fill the void, she slides into an imaginary world where she meets characters who encourage her to free her soul. Plays at various times through April 3rd. 4. This Sunday, car enthusiasts can descend upon the Ellen Scripps Browning Park in La Jolla and preview over 150 automobiles in 30 speciality car classes at the 7th Annual La Jolla Motor Car Classic. The featured marque for this year is German Automobiles. The event will also showcase top stateside automobiles, including Chevy Corvettes, Shelby Cobras, Packards, and Ford Mustangs. 5. On April 1st, the San Diego Zoo will unveil several new features for Zoo visitors. The Zoo will debut its newly remodeled front plaza with color-coded pathways and its freshly painted, double-decked tour bus. Then starting April 2nd the Zoo will begin its latest event, Play Days, which offers guests 23 days full of 23 different animal experiences each day. From Pachyderm Pedicures to Bonobo Popsicle Parties, visitors are sure to see the Zoo’s animals in a whole new light.